I am spending all of August on a Sivananda yoga teacher training course in the Austrian Alps. I won’t be able to access my computer, so my blog won’t be updated now until September. I am planning to keep a journal of the experience though, so will be able to share it with you on my return. Have a great August, and I’ll see you when I get back! Yarn: Newgale (this is a laceweight yarn from Posh Yarn, renamed for its distributor arm, Cariad Yarns. The colourway is Hot Hot Hot. Notes: I started this shawl on New Year’s Day, as a post-Christmas treat for myself. However, I found after working on it for a while that the colour was really grating on me. In retrospect, I think the colour was just too summery for the dark winter months. I started again, and made a green version. A few weeks ago I was hankering after a pink shawl, and remembered that I had a half-finished one stashed away. 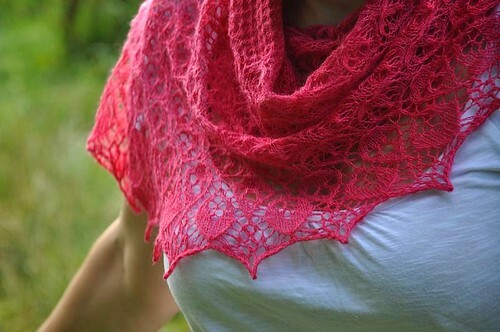 I had completed the first section in the small size, but decided to finish the rest of the shawl following the directions for the large size – I liked the idea of being able to drape it over my shoulders on chilly summer evenings. I’m so pleased that I didn’t just rip this out in the winter when I was frustrated with it. I really love this colour for this time of year, and as it turns out, it goes with nearly everything I wear. Result! Oh, and I have no idea how Steve did this (and nor does he) but I thought I’d leave you with this mad shot of me looking as though I’m transporting in through a rift in the space-time continuum. How cool is that?! We’ve had some dear friends from the States staying with us this past week. It was an incredibly special time, and we talked and laughed virtually non stop. 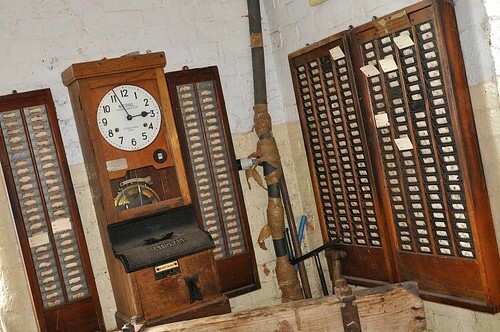 I thought I would share with you one of the places that we visited: Coldharbour Mill, in Uffculme, Devon. 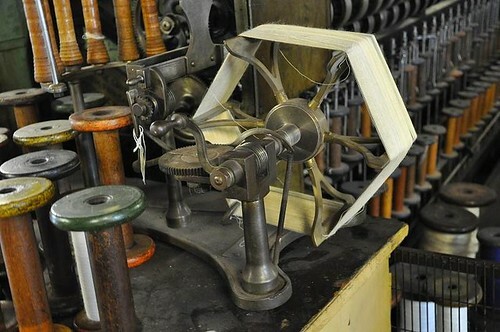 This is a working mill that has been situated in this Devon valley since 1799, and was in continuous wool and yarn production until 1981. 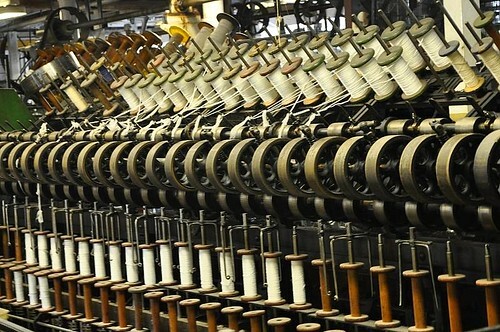 It reopened the following year as a working museum and is now the only surviving woollen mill in the county. 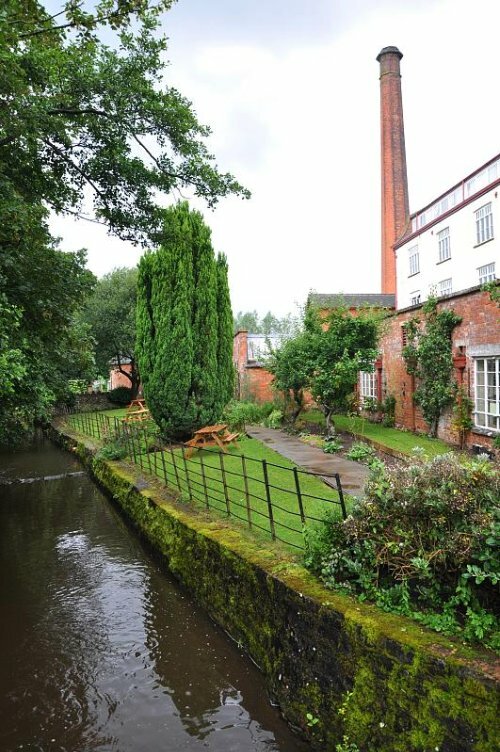 It is one of the few mills in the country that has both of its original sources of power still in operation: a water wheel from the 1820s and a steam engine from 1910. 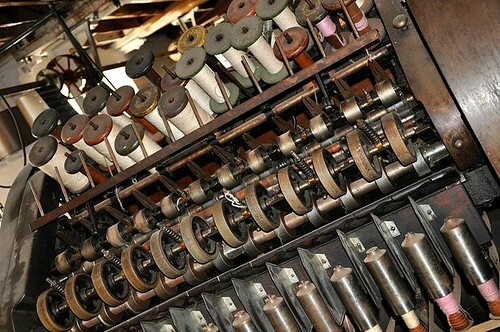 Taking a tour of the mill demonstrates the textile process from fleece to finished yarn. 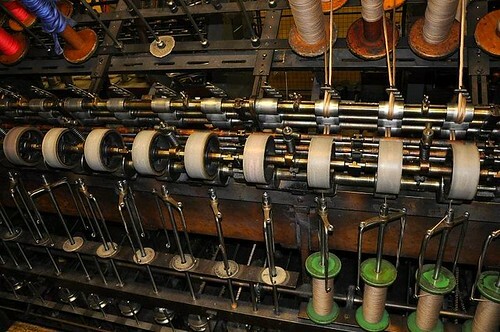 A self-guided tour takes you through the different stages of making yarn into a finished woven cloth. You can see the original spinning and weaving machinery, some of which are still powered by the fully restored water wheel. 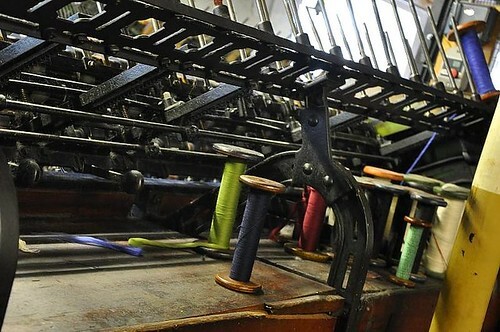 The mill continues to produce both worsted and woollen knitting yarns and is now home to John Arbon Textiles and their wonderful wool and alpaca yarn and products. Dusty and smelling of engine oil, and with the constant clicking of machines, the mill is a fascinating insight into Victorian technology. 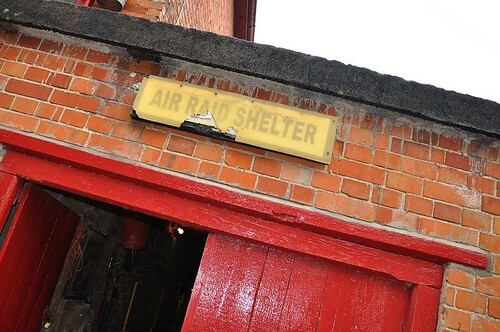 There are also glimpses into the lives of the people who worked at the mill. Oh, and the yarn! I haven’t taken pictures yet of the yarn I bought there, but I’ll post them as soon as I do. 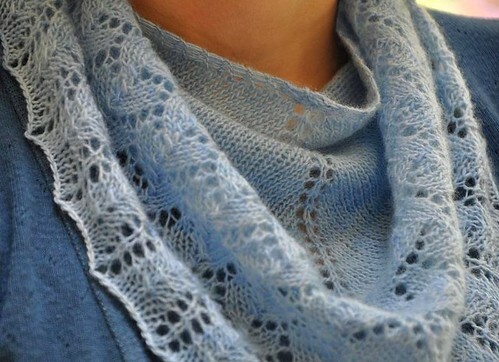 Notes: Once again, this shawl knit up incredibly quickly. The Malabrigo is soft as a feather, and the scarf feels light and airy to wear. This is not really my colour, but I made it for my sister in law who is blonde haired and blue eyed, and I think it should suit her well. 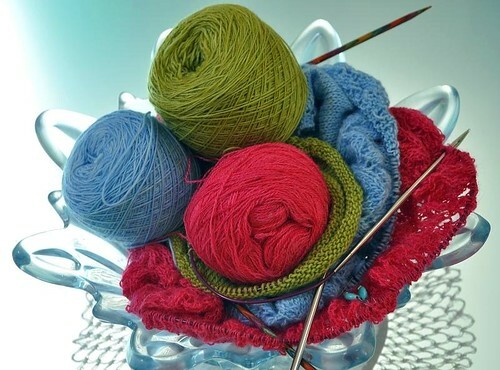 I have been consumed by laceweight projects over the last ten days or so. Even though I have other projects on the go that are heavier weights, I just can’t stop knitting this fine yarn with these tiny needles! 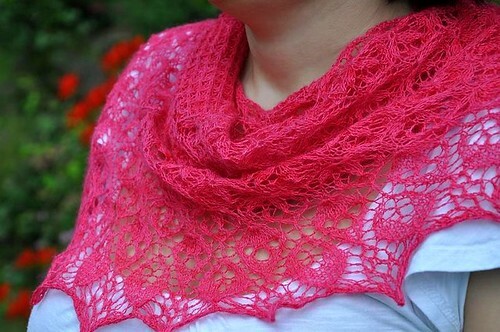 The pink project is the Laminaria shawl that I started in January. I put it down in February, feeling that the shocking pink was just too … pink for the depths of winter, and went on to make a green version instead. 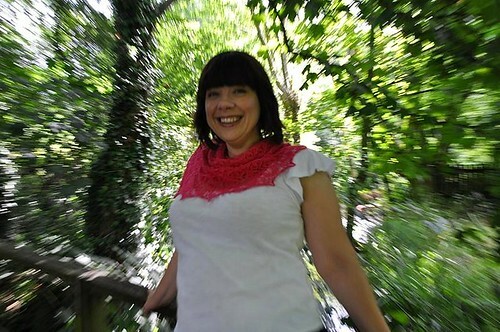 Now that summer is here, I am wearing much brighter colours, and I found that the uncompleted pink shawl was calling to me from the yarn cupboard where it had been hibernating. I’m making a larger version this time around, and can’t wait to have it around my shoulders! 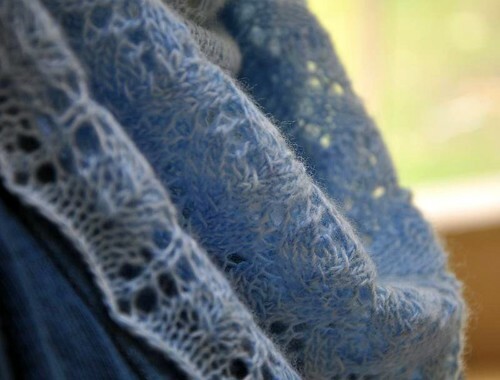 The blue project is another Ishbel, again knitted as a gift. This version is in Malabrigo Lace. It is not a colour I would wear, but the recipient is blonde haired and blue eyed, and I think it should suit her very well. Again, a very quick knit, but I’m going to stop making stuff for others for a while – I’m too selfish to want to spend all my hobby time on other people. The green project is the beginning of a Featherweight Cardigan (Rav link), also in Malabrigo Lace. I saw Linda’s version-in-progress, and was so inspired by it that I immediately ordered yarn and cast on the moment it arrived. Unfortunately, I think I may have bitten off a bit more than I can chew! I also have some socks on the needles that I haven’t mentioned yet, and only three nailbiting weeks to go before my month-long yoga teacher training course starts in August. I’m going to go all out and try and finish all of these projects before then, but I’m not sure I’ll make it in time!